This Pneumonia Awareness Week (April 28 – May 4) Lung Foundation Australia is urging all Queensland seniors aged 65 and over who are considered ‘at-risk’ of contracting pneumonia, and those eligible for a five-year booster vaccine, to recognise its seriousness and protect against the infection. “This year the number of Australians turning 65 and over will exceed three million,”5 said Dr Morgan. “That’s why it’s imperative that Queenslanders celebrating their ‘golden years’ take advantage of recommended and government-funded vaccination against pneumococcal pneumonia,” Dr Morgan said. Dr Deb Mills, Travel Health specialist and Medical Director of Dr Deb’s Travel Medicine Clinics, Brisbane, says pneumococcal pneumonia should not be underestimated. “It’s concerning that even among those aged 65 and over with additional risk factors, such as diabetes, chronic lung, heart or kidney disease, impaired immunity or being a smoker, the new Lung Foundation Australia research shows only 13 per cent of this age group recognise they are at high risk of contracting pneumococcal pneumonia,” said Dr Deb. “While the message about influenza vaccination is clearly resonating, the message about pneumococcal pneumonia vaccination is not,” Dr Deb said. “Worryingly, Queensland seniors cannot differentiate between pneumonia and the flu,1 and how best to protect themselves,” said Dr Deb. Teacher, widow, mother-of-three and grandmother-to-seven, Gay, Brisbane, was unaware of the seriousness of pneumonia before contracting the potentially life-threatening infection in August, 2012. Not suspecting her chronic asthma and age (over 65) placed her at increased risk of pneumonia, Gay’s active lifestyle was turned upside down and she was left bed-ridden for days. One evening, Gay began experiencing acute asthma-like symptoms, including chest pain and difficulty breathing, triggered by heavy smoke in the air. “It was a horrific experience. I had a constant, terrible cough, which resulted in heavy chest and back pain. “I was house-bound for days, living on my own, and only able to fall asleep with hot water bottles sitting on my chest to support my back,” said Gay. Seven weeks following Gay’s diagnosis of pneumococcal pneumonia, she was able to return to her GP for a pneumococcal vaccination to help reduce her risk of re-acquiring the infection. Gay plans to have her booster vaccination in the next few years. This Pneumonia Awareness Week, Lung Foundation Australia is urging seniors to be aware of the seriousness of pneumonia and to ‘Love Your Lungs at 65 Years Young’, by protecting against this potentially life-threatening infection. “It’s important for Queensland seniors to understand that their age alone puts them at heightened risk of contracting pneumonia,” said Lung Foundation Australia Director, Ms Heather Allan, Brisbane. For more information about Pneumonia Awareness Week, visit www.lungfoundation.com.au or call Lung Foundation Australia on 1800 654 301. 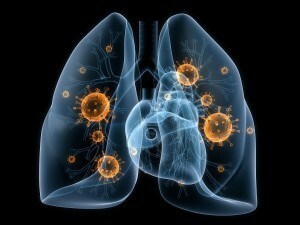 Pneumonia is a potentially life-threatening lung infection that affects the lungs. The lungs are made up of small sacs which fill with air when a healthy person breathes. When a person has pneumonia, these sacs fill with pus and fluid, which makes breathing painful and limits oxygen intake.9 Pneumonia may be caused by a virus, bacteria or fungi.10 Pneumococcal pneumonia, caused by the bacterium Streptococcus pneumoniae,2 is the only type of pneumonia for which vaccination is available. The ‘Love Your Lungs at 65 Years Young’ Galaxy Research survey was conducted online, among a representative sample of 752 Australians aged 65 to 74, living in both capital and non-capital city areas, from April 1 to 3, 2014. 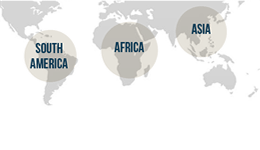 The collated data was weighted by age, gender and region to reflect the latest population estimates. The survey garnered the attitudes of 65 to 74 year old Australians towards, and understanding of, the seriousness of pneumonia and the importance of protection against the potentially life-threatening infection. Pneumonia Awareness Week (Monday, April 28, to Sunday, May 4, 2014) is designed to educate Queenslanders in their ‘golden years’ (aged 65 and over) at-risk of pneumonia, to recognise the seriousness of pneumonia, and ask their doctor how best to protect themselves from contracting pneumococcal pneumonia, including vaccination. Lung Foundation Australia was established in 1990 by thoracic physicians concerned about the chronic shortage of funds for research into respiratory medicine and the impact of lung disease on the community. Lung Foundation Australia aims to ensure lung health is a priority for all Australians. 1. Pneumococcal Pneumonia Study. Conducted by Galaxy Research, commissioned by Lung Foundation of Australia (LFA). April 2014. 2. Harrison C, Britt H. Pneumococcal vaccination among patients at general practice encounters 2013. Byte from BEACH No: 2014;1 Sydney. FMRC, University of Sydney, 2014. 3. Hogg GG, Strachan JE, Lester RA. Invasive pneumococcal disease in the population of Victoria. Med J Aust 2000; 173: S32-S35. 4. Better Health Victoria and Department of Health – Communicable Disease Prevention and Control Unit. Pneumococcal disease fact sheet. 2011. Available at http://www.betterhealth.vic.gov.au/bhcv2/bhcpdf.nsf/ByPDF/Pneumococcal_disease/$File/Pneumococcal_disease.pdf [last accessed April, 2014]. 5. Australian Bureau of Statistics. 3101.0 – Australian Demographic Statistics, Sept 2013. Available at http://www.abs.gov.au/ausstats/abs@.nsf/mf/3101.0. [last accessed April, 2014]. 6. AIHW 2010. Australia’s health 2010. Australia’s health no. 12. Cat. no. AUS 122. Canberra: AIHW. 7. MacIntyre CR. Elderly vaccination – The glass is half full. Health 2013; 5(12A): 80-85. 8. Sousa D, Justo I, Domınguez A, et al. Community-acquired pneumonia in immunocompromised older patients: incidence, causative organisms and outcome. Clin Microbiol Infect 2012;19(2): 187-92. 9. World Health Organization (WHO). 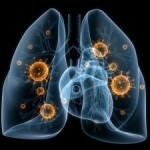 Pneumonia fact sheet; November 2012. WHO. Available at http://www.who.int/mediacentre/factsheets/fs331/en/ [last accessed April 2013]. 10. Rozenbaum MH, Pechlivanoglou P, van der Werf TS, Lo-Ten-Foe JR, Postma MJ, Hak E. The role of Streptococcus pneumoniae in community-acquired pneumonia among adults in Europe: a meta analysis. Eur J Clin Microbiol Infect Dis 2013; 32: 305-316.